Hakone Open Air Museum is located in a majestic setting nestled among the green-forested mountains near Tokyo. 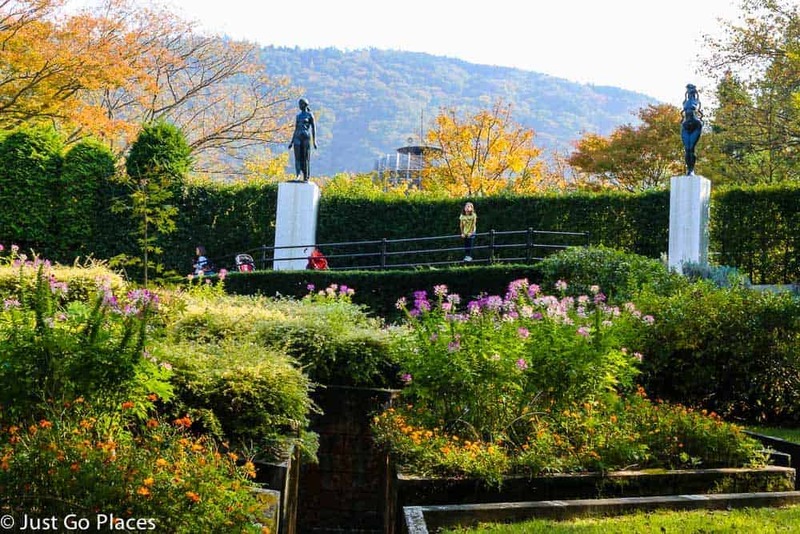 The Open Air Museum Hakone is Japan’s first open air museum. The Hakone museum features about a 120 works from a who’s who of international modern artists such as Rodin, Picasso, Henry Moore, Alexander Calder and Niki de Saint Phalle. 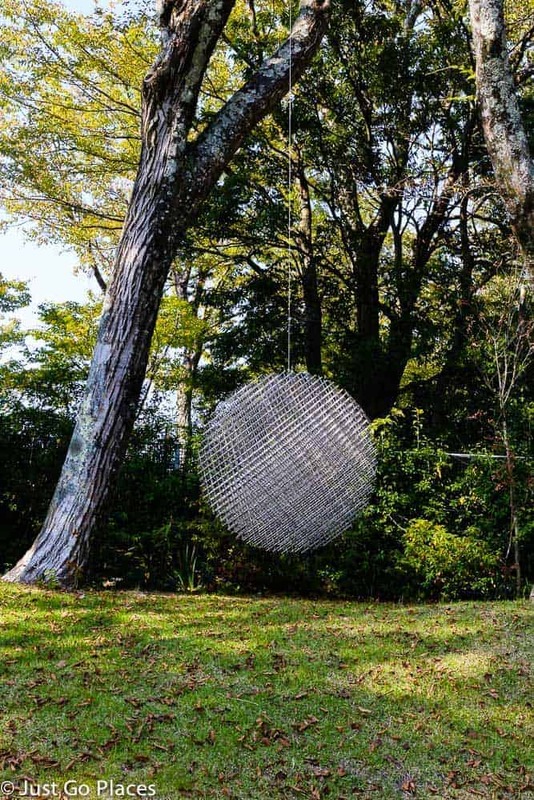 The Hakone Outdoor Museum’s ethos is to balance art and nature. In our opinion, this Japan Open Air Museum achieves this effect beautifully. Although many of the works are set in a Hakone sculpture park, there are also indoor pavilions. 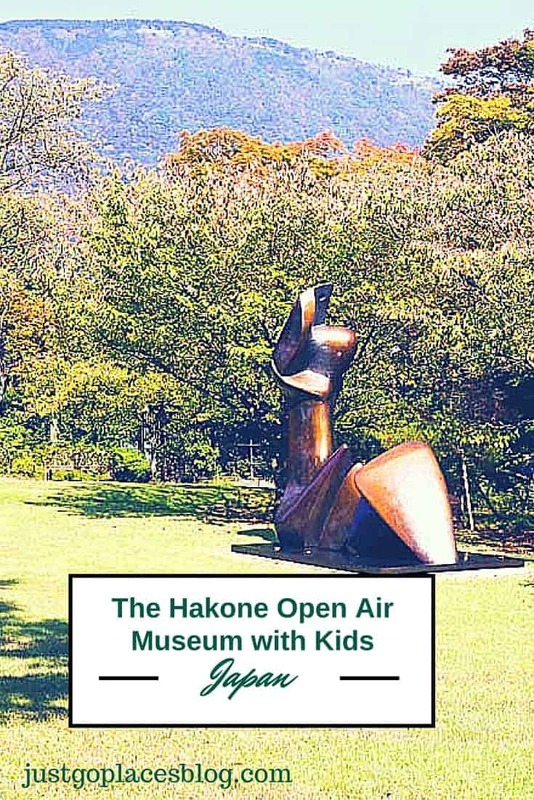 When you are visiting Hakone with children, in addition to its many tourist attractions such as the cruise on Lake Ashii and visiting a Japanese hot spring, a stroll through the Hakone Open Air Museum is a must-do. 3.4 Join our growing community of readers! 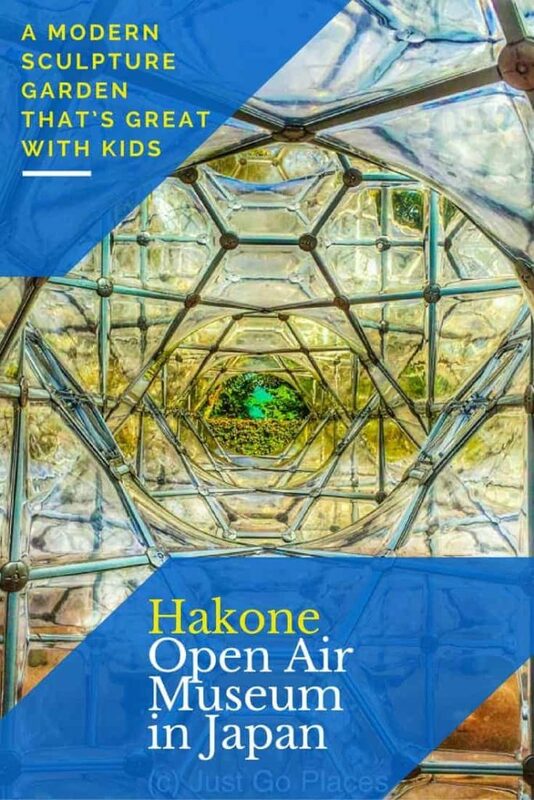 My children loved the Hakone Open Air Art museum running around and playing amongst the exhibits. In addition, I was able to take them on a short crash course of modern sculpture since there were so many famous artists present in one place. They could see for themselves the difference between the works of Henry Moore versus Calder because they were near each other in this Hakone sculpture park. Some of the exhibits at this Hakone Outdoor Museum are actually meant for human interaction such as the giant maze of flowers called A Garden of Stars. 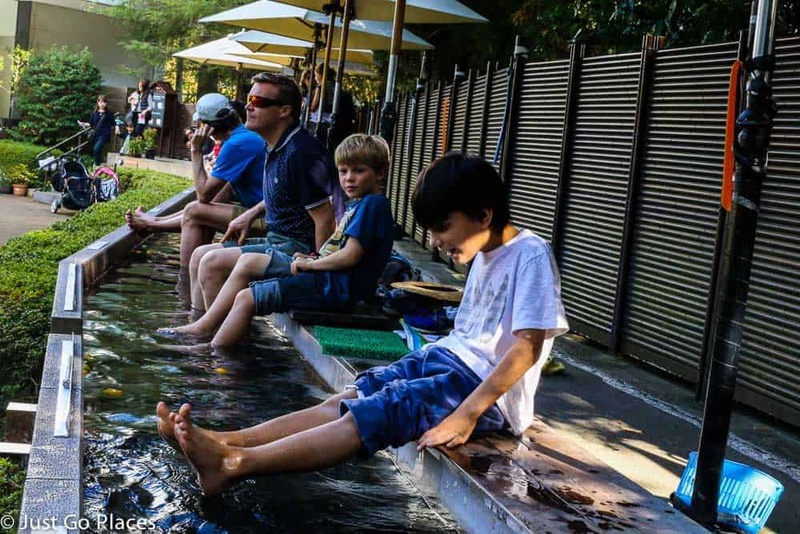 My son loved soaking his tootsies in the foot bath which has oranges and lemons floating among the hot water – the same thermal hot spring water that fills the onsens nearby. For a nominal 100 yen (about 50p) in the Hakone Open Air, you can take a little towel to dry off your feet afterwards. Every museum should have a place to refresh tired feet. The children also loved feeding the giant koi in the pond at the Open Air Museum Hakone. When I say giant, I mean giant. 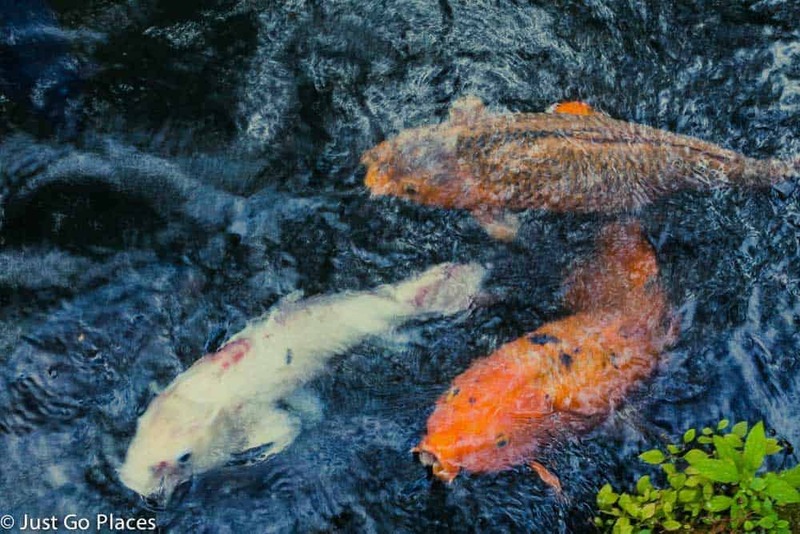 These koi have probably been fed way too much by indulgent tourists. I loved the honour system where you put in some coins and you can help yourself to a little dish of fish food. 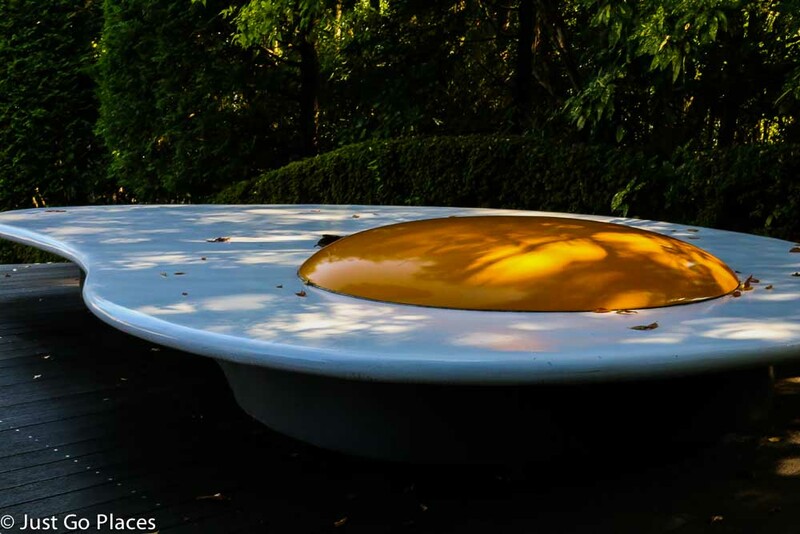 It’s so Japanese to trust visitors will do the right thing at this Hakone Open Air Art Museum. 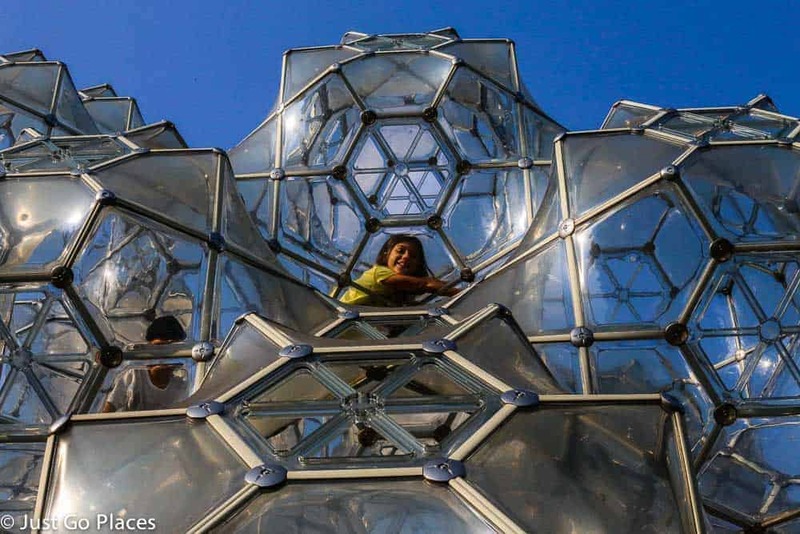 My kids’ favourite exhibit at Hakone Open Air Museum was the soap bubble castle, a plexiglass and steel work technically called Curved Space Diamond Structure. 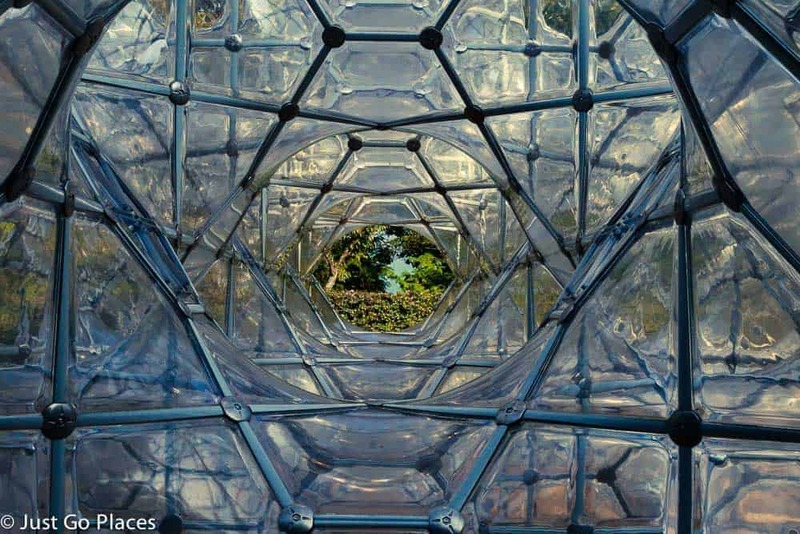 Set in the Hakone sculpture park, this piece by American sculptor Peter Pearce, is a structure that you can climb inside and around. My kids did not need a second invitation! 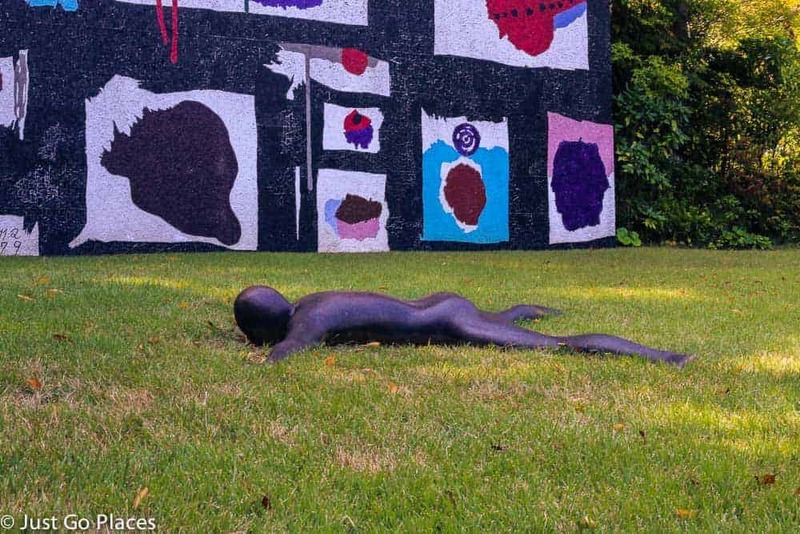 Like the Minneapolis Sculpture Garden, outdoor artwork is easier for children to engage with – perhaps because it is less formal and playful in nature. Outdoor artwork is meant to withstand Mother Nature never mind kids. Without any boundaries, you can get as close to the artwork as you want. Many of the works at this Hakone museum are oversized but feel perfectly set in their Hakone open air location because of the scale of the mountains. The Hakone Open Air museum rotates its display of 26 Henry Moore sculptures which is the largest collection of his works anywhere in the world. 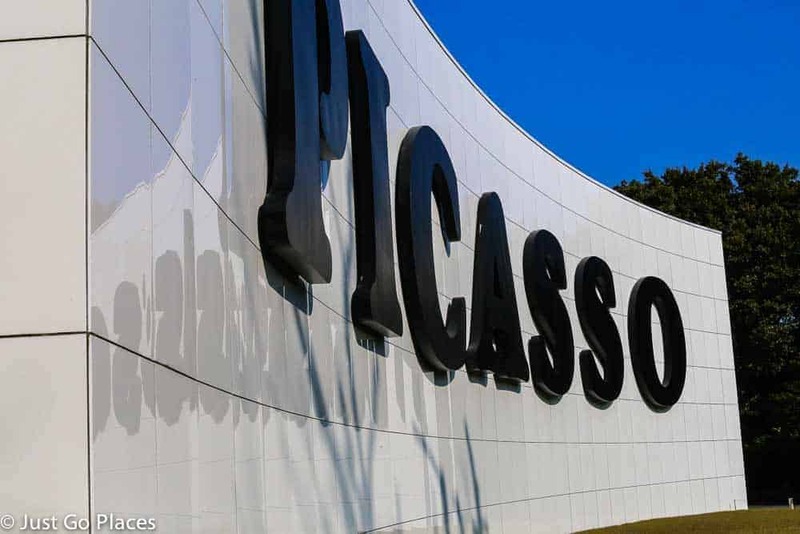 Another amazing exhibit is found in the Picasso Pavilion which contains over 300 of the artist’s works. They were donated to the Museum by Picasso’s daughter. We all loved the Hakone Open Air museum and were so glad our friend recommended we visit it. It was a delightful afternoon spent amongst beautiful modern art in the mountains. At the end of the day, I had to usher my kids out of the Hakone outdoor museum because they could have stayed longer! The Hakone Open Air Museum is very easy to find. Most of the people getting off at the stop will be going to the museum – there’s not much else in town! 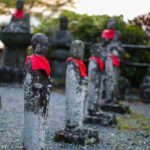 It is a short walk from the little train station at Chokoku-no-Mori Station (the penultimate stop on the Hakone Tozan Line) heading towards the town of Gora. 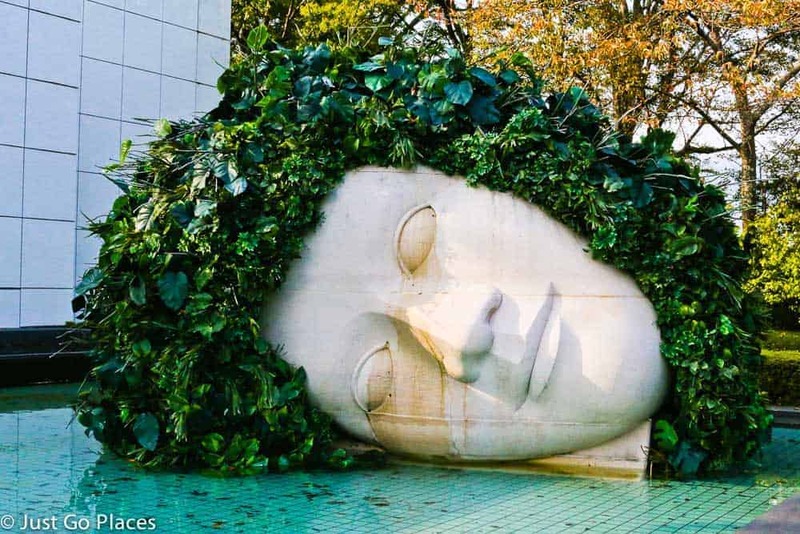 The Hakone Open Air Museum hours are generous – open every day of the year from 9-5. There is reduced admission for students. That looks so fab. 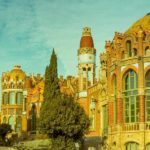 I only heard of it about a month ago (in another bloggers post) – it’s very high on my list now!! The nets were closed! Some sort of safety hazard. Not sure it will reopen from what I could make out. A real shame because it looked fun. I adore this and totally want to go! 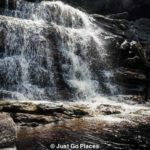 We live in Okinawa and don’t get to mainland all that often but I am totally adding this to my list, my kids would LOVE it here! I much prefer an open air exhibit than one in a building. 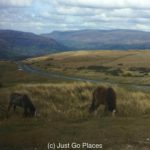 Sure the weather makes it difficult sometimes but the fresh air makes it worthwhile. They have a park here in Panama called Parque Omar where there are sculptures scattered around the park. Love it! Open air exhibits work really well for sculpture I think! 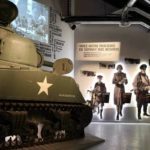 This looks like a fun – and unique – museum kids would love to explore. Seems it is an interesting and spacious place to visit with kids.Really wonderful sculptures.And I always like the places with koi ponds.These fish are so vibrant! These were some of the fattest koi I’ve ever seen! I find koi very calming to watch too. Like giant goldfish. The footpath was wonderful! You don’t realise how much your feet ache until you soak them in warm water.